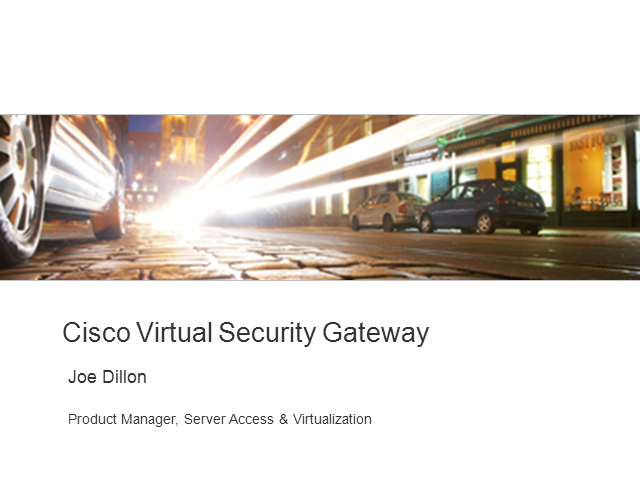 Joe Dillon, Cisco's Product Manager for the Virtual Security Gateway (VSG) will present a close up business view of this virtual firewall and how it changes the way we think about implementing security policies given the dynamic environment a virtual, multi-tenant Data Center. Special attention will be paid to Cisco's differentiated architecture and operational model. This business level presentation will be available on-demand shortly after the live presentation.